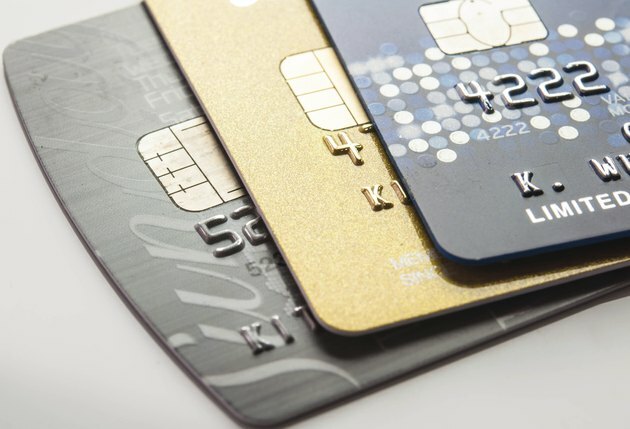 How Is Credit Card Fraud Investigated? The first investigator of credit card fraud is you. Regular, frequent surveillance of your accounts can highlight activity you don't recognize before it becomes apparent to creditors and vendors. As your own sleuth you can take the first action to begin tracking the fraudster and stop future abuse of your identity by calling your credit card company's 24-hour hot line. This also limits your liability to $50 after that point, but speed is critical. Often all the fraudulent transactions are completed before the identity theft is discovered and reported. Credit card fraud is almost 20 times as common online as at a bricks-and-mortar vendor. Online purchases, called "card not present" (CNP), use a card number entered without physically showing the card or ID. Most online (and in-store) transactions immediately access a worldwide database to spot non-typical buying patterns. If a purchase is much bigger or very different from your typical transactions, it is blocked and you are notified. Professional credit fraud investigators are specially trained for "electronic backtracking" of electronic transaction trails through financial intermediaries and back to vendors. They are experts in sophisticated sciences like forensic accounting, information technology and financial security systems. Investigators sometimes find a victim's stolen credit card record clean--no unauthorized transactions. But new credit may have been issued using the old card for ID only, not purchases. This enables new CNP transactions in the victim's name without triggering alerts or payment-stops on the old number. Police, banks and credit card investigators can stop these secondary frauds with their sophisticated tracking methods. The U.S. Secret Service and the Federal Trade Commission (FTC) oversee and provide legal support for monetary and personal fraud investigations. But they often leave matters to--but back up--state and local authorities, depending on the size and scope of the crime. For instance, FTC usually investigates only cases over $2,000. Standard operations include taking criminal complaints, connecting victims with relevant consumer protection agencies and interfacing with necessary law enforcement offices. Personal account surveillance and fraud investigation are powerful tools, but many fraudsters are staying ahead of the enforcers: losses still amount to almost $50 billion a year.